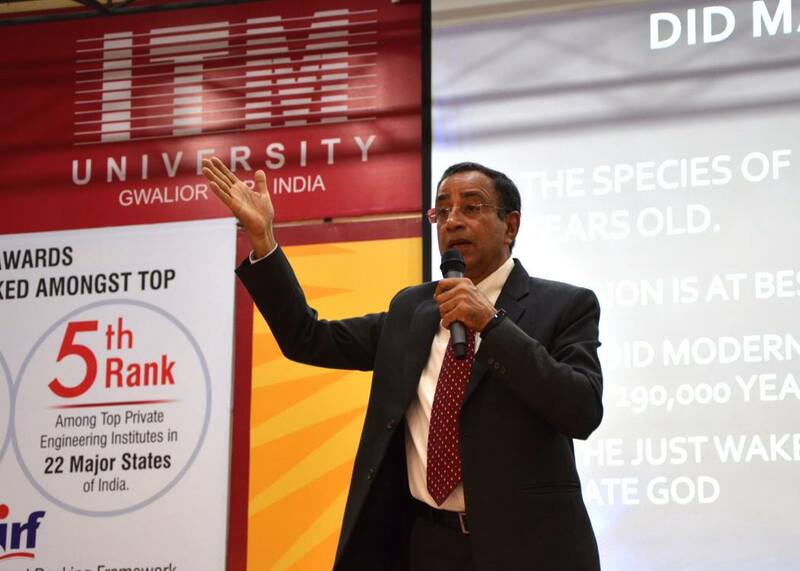 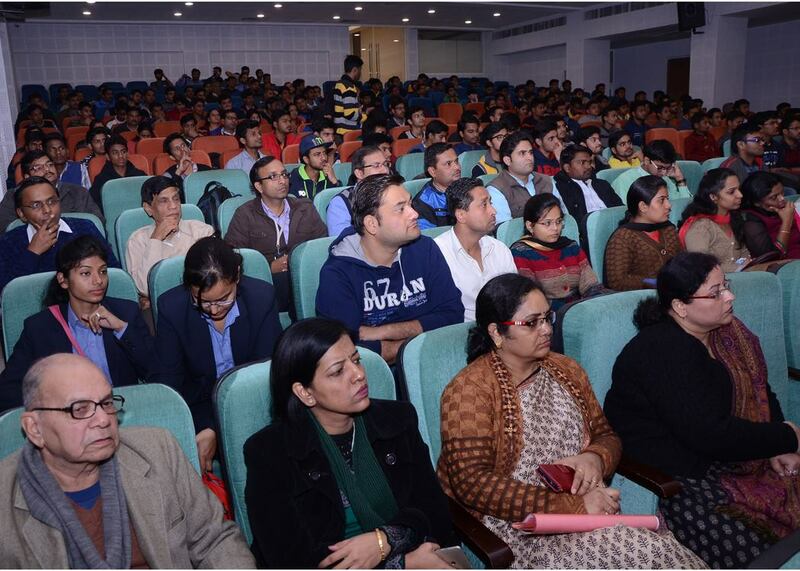 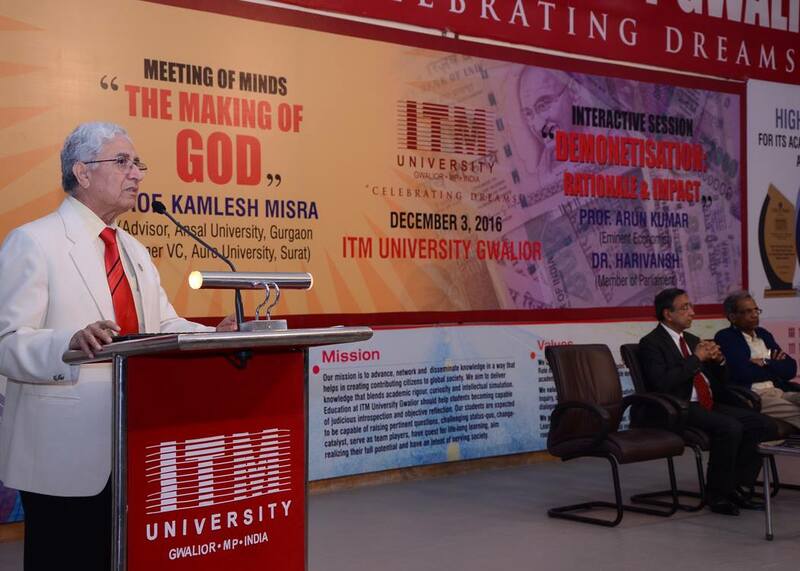 ‘Meeting of minds’, a fortnightly symposium for Faculty members and students, is being held regularly at ITM-University, Gwalior. 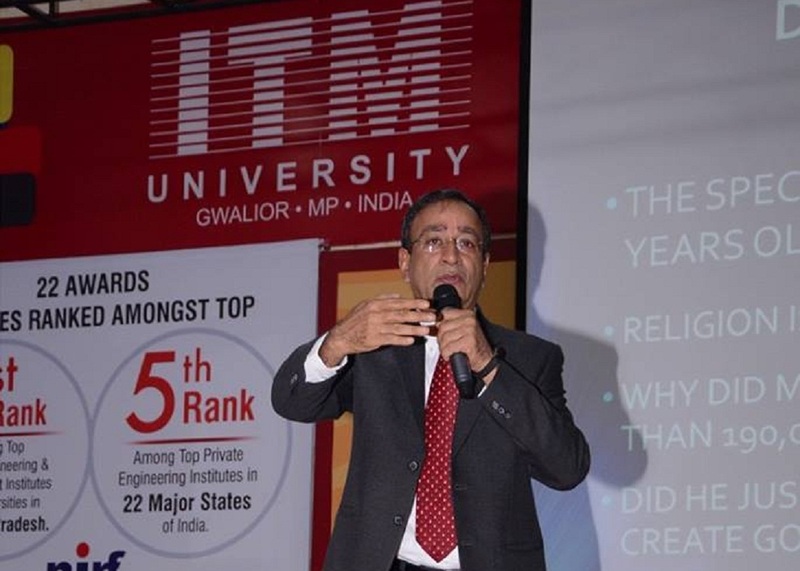 Intellectuals from elite institutes of the country as well as ITM itself have been disseminating knowledge on very interesting and thought-provoking topics as Time, Intelligence, Colours in human life, Matter and Vibrations, The Word, Role of Physics in unraveling the mysteries of the Universe and the Making of God. 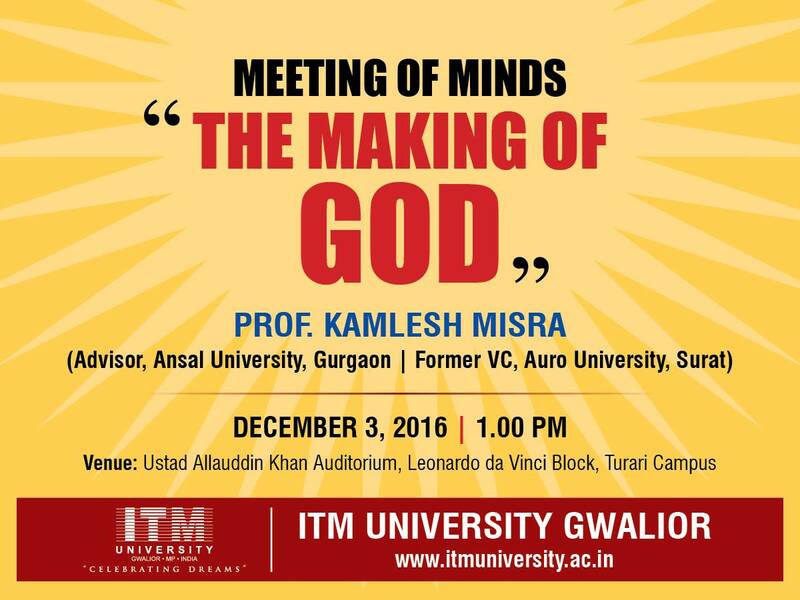 The topic for the 8th Meeting of Minds, dated December 3, 2016 was The Making of God. 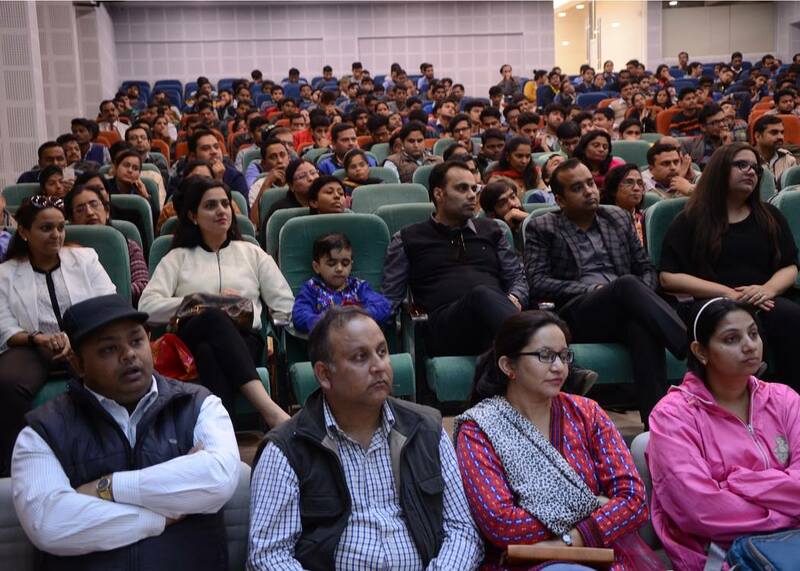 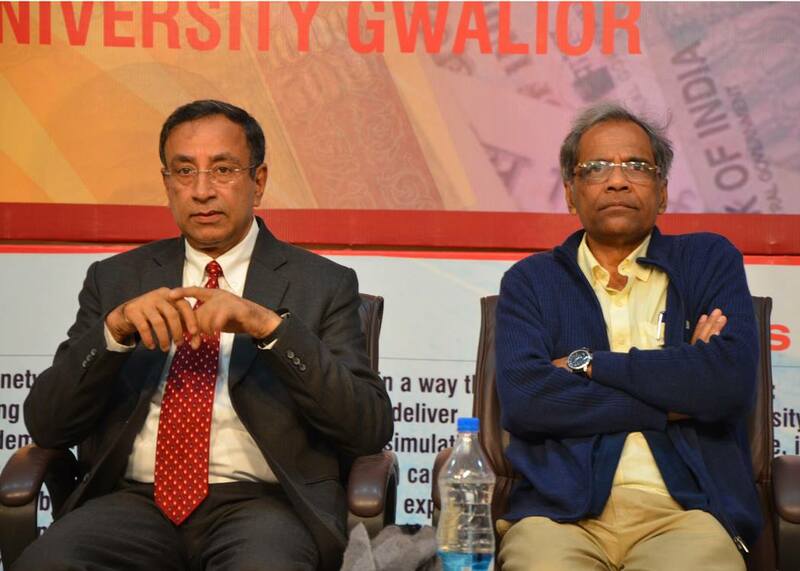 The expert talks were delivered by Prof. Kamlesh Mishra, Advisor at Ansal University, and Mr Udayan Vajpeyi, the famous poet and critic. 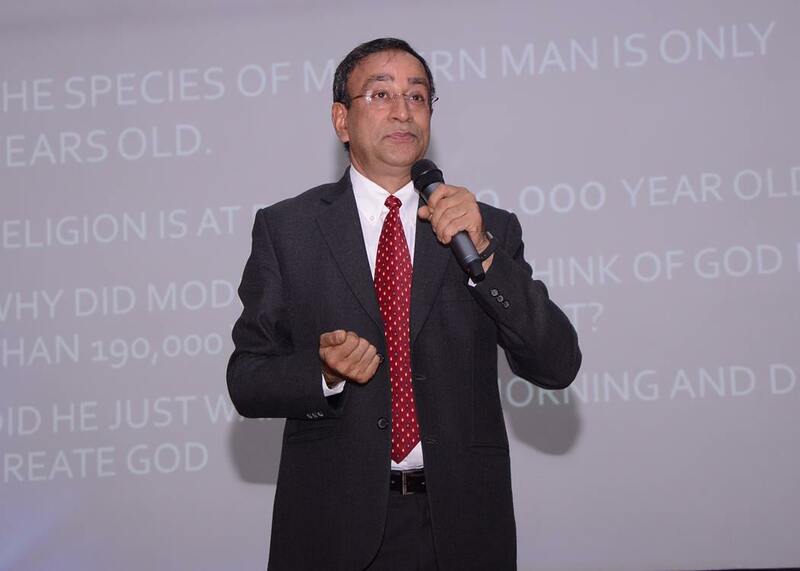 The concept of God’s existence and His origin was discussed from a wide variety of perspectives including the Semitic and Pagan philosophies. 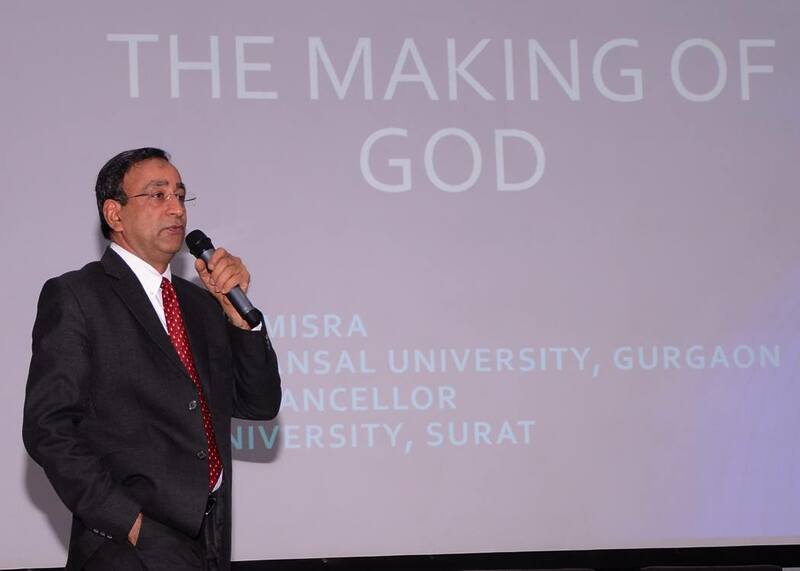 The speakers underlined that in every religion, God is synonymous with Truth. 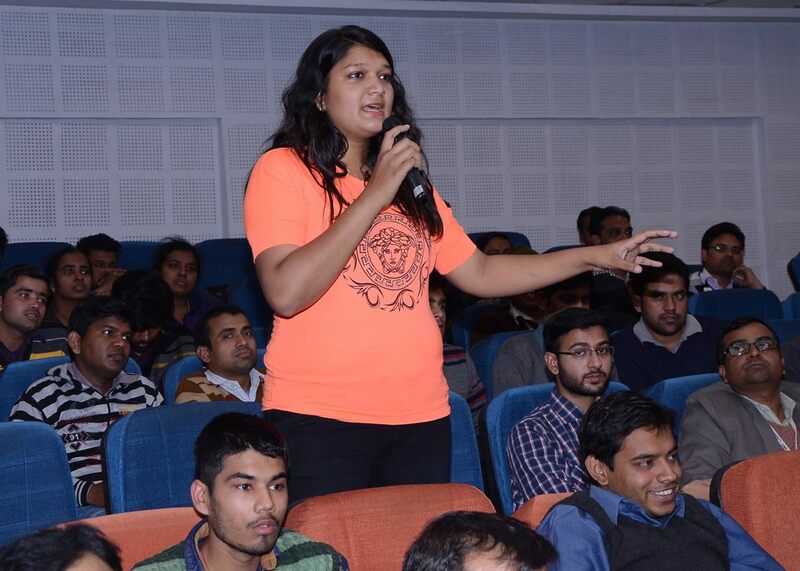 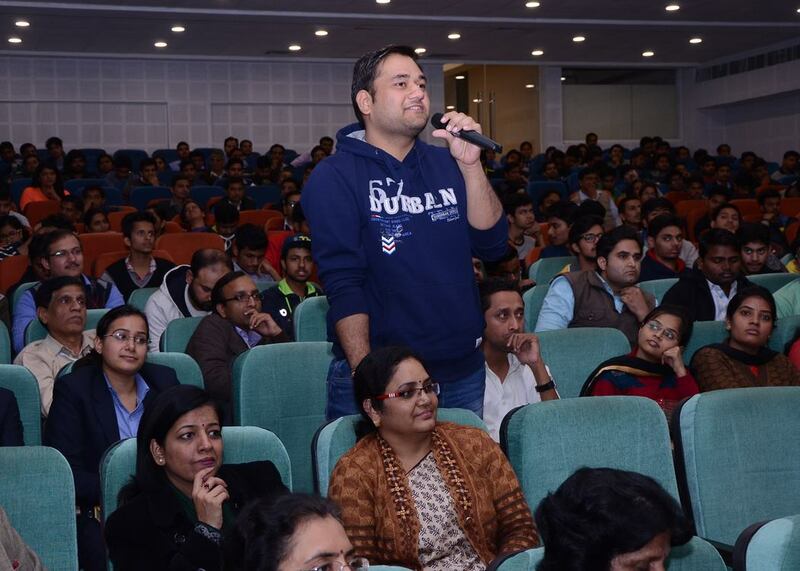 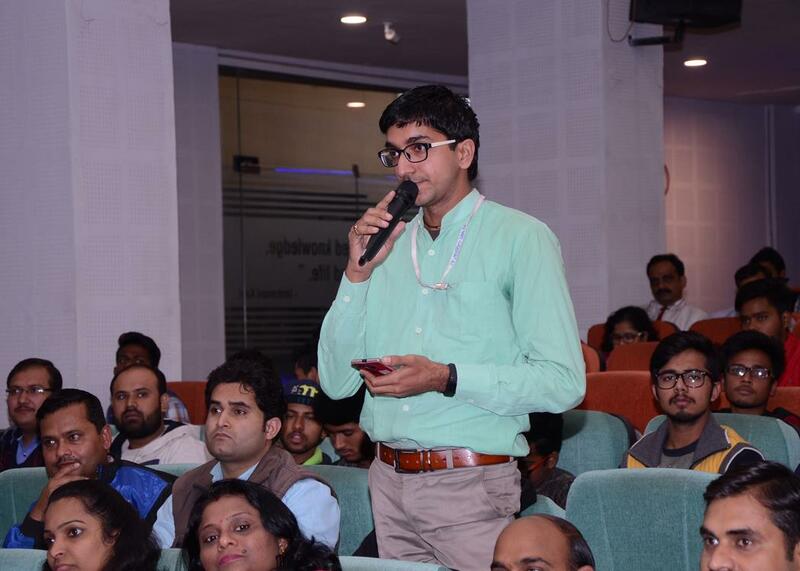 A number of questions were asked to the orators by the students and faculty members. 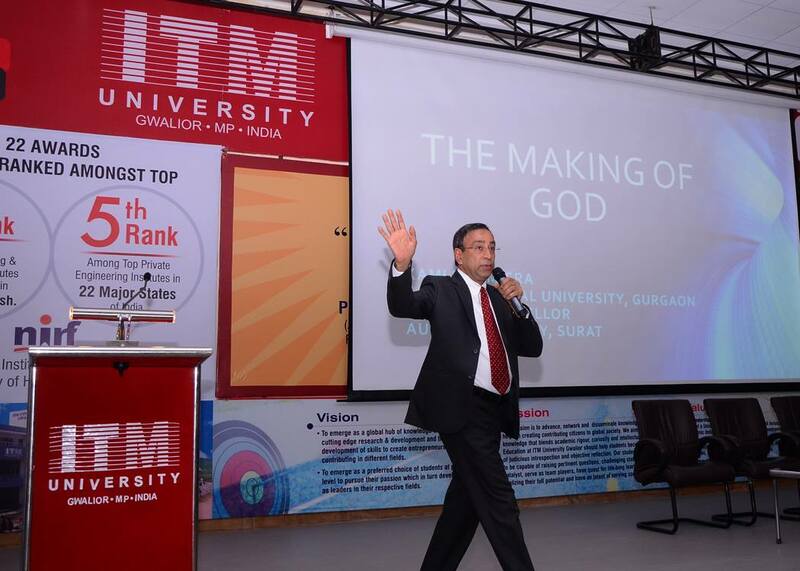 The forum indeed , ignited the curiosity of the listeners about the making of the unseen yet omnipresent entity called GOD!